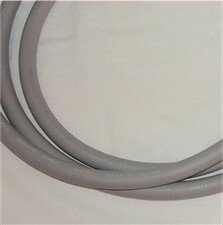 Canare's ultimate Audiofile speaker cable. Made up of four 14 gauge wires to provied you with an 11 gauge cable to carry your signal. Star Quad design provides excellent RF interference protection. Very tough jacket and very flexible! Only available in one color, Grey. Buy it "By The Foot".